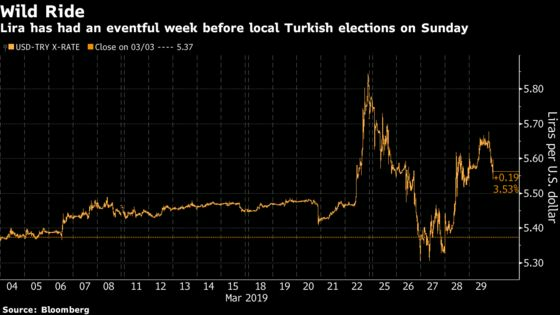 (Bloomberg) -- Less than a year after winning a new mandate with sweeping powers, President Recep Tayyip Erdogan and his ruling party are locked in tight races in some of Turkey’s biggest cities in local elections on Sunday, which left two people dead. At stake is control over hundreds of mayoral districts and local councils across Turkey’s 81 provinces, which stretch from its borders with Greece to Syria. 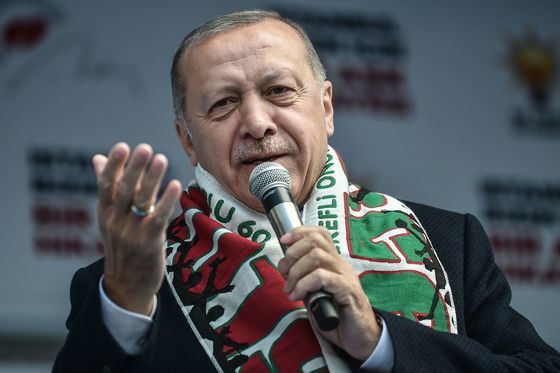 Against the backdrop of a worsening economic downturn, the opposition is working together in a rare joint effort to deliver a rebuke to Erdogan and his Islamist-rooted movement. The second-largest opposition party in parliament, the pro-Kurdish HDP, opted to sit out significant municipal races beyond its stronghold in the southeast. Instead, it’s supporting candidates from an opposition bloc led by the larger CHP. As a result, the quarter-century-long hold on the country’s capital Ankara and business hub Istanbul by Erdogan’s party and its predecessors is under threat. Stiff competition between the candidates has created a tense atmosphere across the country and violence at a polling station in the southeastern Malatya province left two people dead, including a polling station volunteer and an observer of a small opposition party, Saadet, the state-run Anadolu Agency said. Pro-Islamic Saadet leader Temel Karamollaoglu blamed a relative of the ruling AK Party candidate in the town of Puturge for the killings in a message on Twitter. On the eve of the elections, the government relayed indictments against CHP leader Kemal Kilicdaroglu as well as pro-Kurdish HDP co-chairs Pervin Buldan and Sezai Temelli to parliament on Saturday to seek the body’s approval for their prosecution on various charges. Erdogan won 52 percent of the vote in presidential elections in June. The AK Party and its nationalist ally MHP garnered a combined share of 53 percent of the parliamentary vote. Where the economy and jobs are uppermost in voters’ minds, there will be questions over Erdogan’s stewardship of the government. Just in recent days, authorities risked the nation’s market credibility by orchestrating a liquidity crunch to stop the lira sliding further. As in past elections, Erdogan has appealed to nationalist sentiment with warnings that separatist aspirations among Kurds threaten Turkey’s integrity and suggested the government could remove any municipal official involved in a criminal act or linked to Kurdish militants even if they are elected. “It’s the time to firmly come together like the fingers of both hands,” Erdogan told a rally in the central Anatolian city of Konya.